What are the 10 unforgettable sights in Amsterdam? 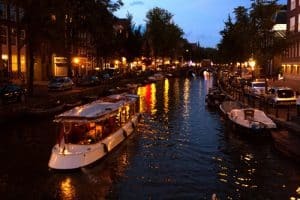 Sights in Amsterdam: Whether you are in the city for a few days or a few weeks, try and tick as many of these unforgettable sights off your list as you can. See some of Europe’s most coveted paintings in this resplendent museum. An inspiring place: visit the house where Anne Frank and her family hid from the Nazis, and see where her unforgettable diary was created. See where the renowned painter lived, loved, and dreamt up some of the most beautiful works of art you have ever seen. An impressive museum for anyone who loves expressionism – or art in general. A modern fairytale comes to life in this gorgeous amusement park. Here you will find rides suitable for all of the family. Do you want to learn about how this delectable beer is made, and perhaps sample a little in the process, this interactive behind the scenes tour of a Heineken factory is perfect for you. This 13th century church is a stunning building, and it is steeped in history from top to bottom. Tall and unassuming, this reddish town house conceals some real treasures inside. Learn about this fascinating artist’s life and see his work up close. Science lovers young and old will adore this intellectually stimulating attraction in the heart of Amsterdam. For over four centuries, this central plaza has been the main meeting point in the city. A brilliant place to enjoy a coffee and watch the world go by. Staying in a central location such as Hostel Sarphati is a great idea as it enables you to see as many of the city’s top attractions as possible during your stay in Amsterdam.